Portsea Island is separated from the mainland by a narrow creek which in conjunction with the fortifications known as the Hilsea Lines, acted as the northern line of defence for the militarily stategic island. 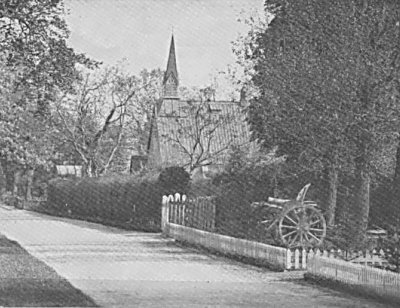 Until the early part of the 20C there was only one point of access the creek by road onto the island and this led almost directly into the village of Hilsea. 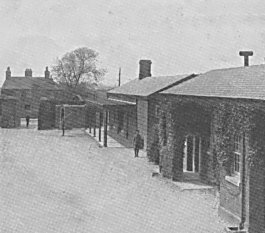 For many centuries the soldiers who guarded the entrance to the island were housed just south of Hilsea often in temporary or semi-permanent encampments which also served as transit camps for regiments on their way to conflicts abroad. 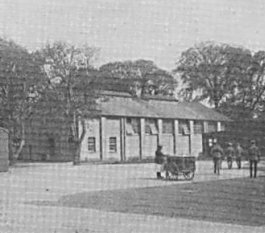 The first permanent buildings were constructed on the Gatcombe Park site which had been purchased by the army in 1854 to house the Royal Field Artillery. This was a period in which several substantial barracks were being constructed across Portsea Island, partly in response to growing threats abroad but also to alleviate the local population from the onus of billeting the soldiers. 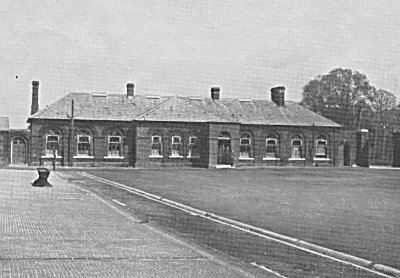 The Artillery remained at Hilsea until 1921 when the Royal Army Ordnance Corps (RAOC) left their Woolwich base, where they had been for forty years, and took over the barracks. They remained there, apart from the years 1943-45 during which time it was occupied by 13 units of the US Army, until the base was finally closed in 1962. 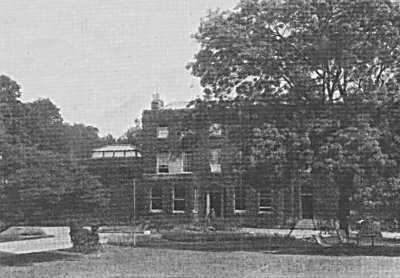 Prior to the acquisition of the site the Officer's Mess had been known as Gatcombe House, a country residence of some antiquity which stood at the head of a long avenue of trees. 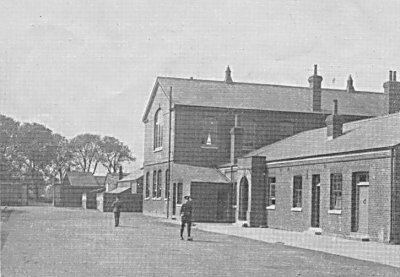 The original building was adapted for use by the army as the mess together with housing for unmarried officers and those attending courses. 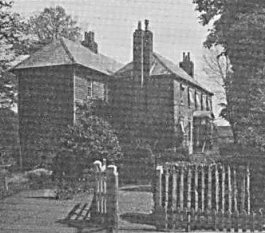 Around the house were extensive sports and horticultural facilities. 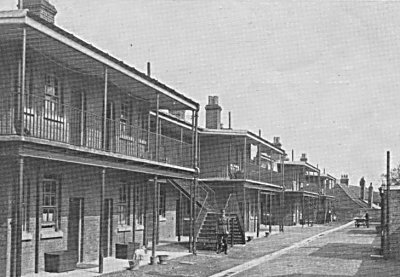 The Sergeant's Mess was on the north side of the parade ground and also had tennis courts attached. BACK ROW: S.Q.M.S. S.V. Molyneaux, Sub-Condr. W. Newly, Condr. G.F. Bancroft, Capt. H.R. Shillington, Capt. G. M. Manuelle, MC, Major W.N. Stokes, OBE, DSC, Condr. P.J. Moloney, DCM, S.Q.M.S. A.M. Dowell, Armr. Q.M.S. C.E. Kirby. FRONT ROW: Capt. G.R.S. Love, Capt. W.K. Dines, Lieut-Col. H.L. Wethered, CMG, DSO, Colonel H.S. Bush, CB, CMG, Major F.S. Smith, Capt. H.R. Skinner, Capt. M.R. Neale MC. 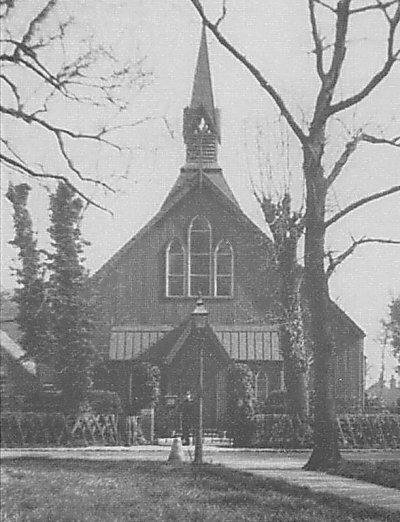 Hilsea Garrison Church was built in 1888, but it wasn't until the RAOC moved in that the church was dedicated to St. Barbara, the patron saint of the Artillery. 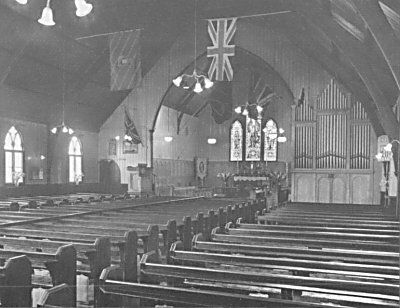 As was common with garrison churches of the Victorian period it was built from corrugated iron and lined with wooden boarding. 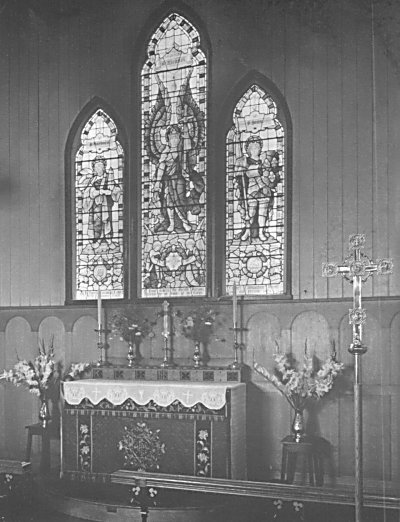 The humble cladding belied the elaborate furnishings which included a surprisingly large organ and splendid stained glass windows. 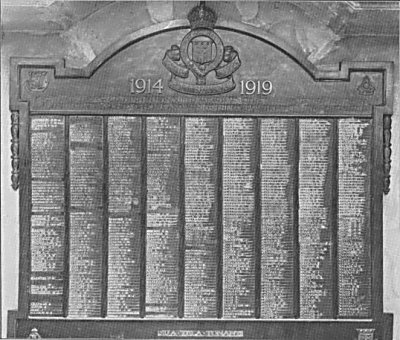 In 1922 a memorial to the 606 members of the RAOC who had lost their lives in World War 1 was unveiled on the east side of the parade square. It was known as the Camp Cenotaph at the bottom of which was the latin inscription SUA TELA TONANTI, They be of Those That Have Left a Name Behind. The photographs below show the memorial and the parade square with the cenotaph on the far side. 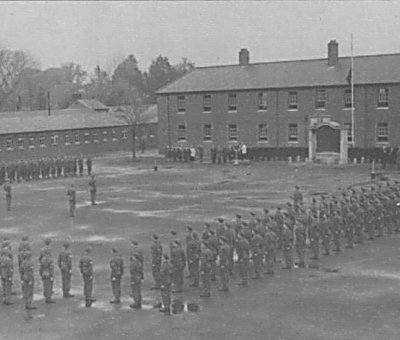 The Last Remembrance Day Parade on the square took place in 1947 and the following year the memorial was removed to the new Corps Headquarters at Deepcut, Camberley. Anonymous RAOC Booklet, prepared as an introduction to the Barracks.